The terrorist Khalid Masood was not a â€œlone wolfâ€� and others had played a key part in indoctrinating him and helping to carry out Wednesdayâ€™s deadly attacks in London, security officials believe. The disclosure that the British-born Muslim convert was likely to have been part of a wider conspiracy came as armed police detained 11 people in raids across the country with two of the arrests, including that of a woman, described as â€œsignificantâ€� in the investigation. Three cars were also taken away for forensic examination. Police are still hunting associates of Masood who are believed to be linked to the Westminster attack. Whether he was steered towards terrorism online is a major part of the inquiry with a number of computers and tablets, of the killer and those detained, being examined by police. Scotland Yard Assistant Deputy Commissioner Mark Rowley said a â€œmassive amounts of computer dataâ€� was seized among 2,700 items in total. A series of attacks which had been previously written off as being the work of â€œlone wolvesâ€� were later found to have been orchestrated by Isis â€œhandlersâ€� on the Internet. There is no evidence that anyone else accompanied Masood during the rampage in which he murdered four people and injured 50 others. But the timing and sequence of the radicalisation of Masood, born Adrian Elms, will, the law agencies believe, provide important pointers towards what unfolded. Masood had come to the notice of MI5 and Scotland Yardâ€™s Special Branch in the past for associating with known extremists, but, security officials insist, had not been involved in plotting terrorist acts. The indications, however, are that it is more likely to have taken place while he served sentences in prison for violent offences. After being freed in 2003 from his second time in jail he married Farzana Malik, a Muslim woman following conversion. There has been speculation that the radicalisation process began when he went to work as an English teacher in Saudi Arabia in 2005. Weird back ground : ... Something does not ring true. In the 1920â€™s a young Egyptian named Hassan Al-Banna revived the Muslim Brotherhood, which had its origins in the same Grand Lodge of Cairo that also spawned Cabala, Freemasonry, Knights Templar and their Illuminati board of directors. Al-Banna was an admirer of Adolf Hitler. After the war, British Intelligence hired these fugitives and sent them to Egypt with help from the French. There they were sold to the CIA, who used them to infiltrate and attack a burgeoning left-wing Arab nationalist movement led by Egyptian President Gamel Nasser. Nasser nationalized the Suez Canal, brought in Soviet advisors and banned the Muslim Brotherhood from Egypt. 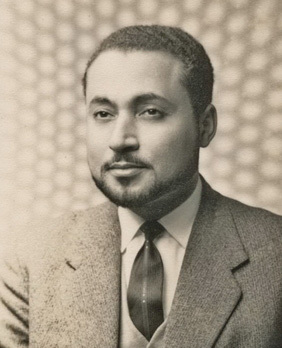 The leader of the Egyptian Muslim Brotherhood Sayed Kuttub received payments from Saudi King Faisal to undermine Nasser. During the 1950s the CIA evacuated Brotherhood leaders to Saudi Arabia, where they opened madrasses that taught a combination of Nazism and Wahhabism. Prominent instructor Dr. Abdullah Azzam taught Osama bin Laden. Fascistic Wahhabism was encouraged by Britainâ€™s M-16, Israeli Mossad and the CIA, though it was condemned as heresy by Muslim countries more than sixty times. It is only practiced in Saudi Arabia and by the Afghan Taliban. Brotherhood leader Sayed Kuttub stated that during the 1960s, â€œAmerica made Islamâ€�. CIA Director Allen Dulles had been a lawyer for Nazi combine I. G. Farben and headed the CIA-predecessor Office of Strategic Services (OSS) during WWII. After the war Dulles was OSS Station Chief in Berne, Switzerland, where he helped Swiss Nazi Francois Genoud transfer Hitler and Goebbel trusts into Swiss bank accounts. In 1952 Dulles founded Banque Commerciale Arabe in Lausanne, Switzerland. The bank represented a pact between the CIA and the Muslim Brotherhood-Benoist-Mechin, which is comprised of Saudi royal family members. Part of this Faustian bargain involved the House of Saud providing information to US intelligence on how to create mind-controlled assassins. The Muslim Brotherhood claims to have first perfected this technique during the 11th century Crusades when it launched a brutal parallel secret society known as the Assassins, who employed mind-controlled â€œlone gunmenâ€� to carry out political assassinations of Muslim Saracen nationalists. The Muslim Brotherhood Assassins worked in concert with Knights Templar invaders in their attacks on progressive Arabs. The same year Allen Dulles- 33rd Degree Freemason, Knight Templar, CFR-founding member and Rockefeller cousin- formed his alliance with the House of Saud, the CIA launched its MK-ULTRA mind control program using LSD produced by the Warburg banking dynastyâ€™s Swiss Sandoz Laboratories. Dullesâ€™ OSS assistant in Berne was James Warburg. With Sydney Gottleib at the wheel, MK-ULTRA sought to create a â€œManchurian candidateâ€�, a mind-controlled assassin to be utilized for CIA black operations. The city of Lausanne, where Dulles cut his deal, also housed a group known as Nazi International, led by Nazi intelligence officer Otto Skorzeny. The Assassins took their name from the Arabic word hashshasin, meaning â€œhashish smokerâ€�. Another Arabic word, assasseen, translates â€œguardians of the secretsâ€�. The group was founded in 1094 by Hasan bin Sabah, who shares his surname with the crooked ruling family of Kuwait who themselves descend from the Hashemite clan. Hasan was schooled in the secrets of the Hebrew Cabala and studied at the Grand Lodge of Cairo, which also spawned the Afghan Illuminated Ones- the Roshaniyaâ€“ who terrorized that country under the leadership of Bayezid Ansari in the 16th century. Sirhan was born into a Palestinian family in Jerusalem, Mandatory Palestine. Sirhan never became an American citizen, retaining instead his Jordanian citizenship. Officials said one man was arrested Tuesday in southern Manchester in connection with the attack, and urged people to avoid the center of the city as raids continued at addresses around the city. Police and British Prime Minister Theresa May made it clear the focus of the investigation was to determine whether the bomber "was acting alone, or was part of a wider group." "Manchester 2017-05-22", before saying: "Allahu akbar, Allahu akbar"
Leaders from India's ruling Bharatiya Janata Party (BJP) and its affiliate groups such as Rashtriya Swayamsevak Sangh and VHP (Vishwa Hindu Parishad or World Hindu Council) ran a campaign against what they said was a ploy used by Muslims to seduce Hindu girls, make them believe that they were in love, get married and convert them to Islam. 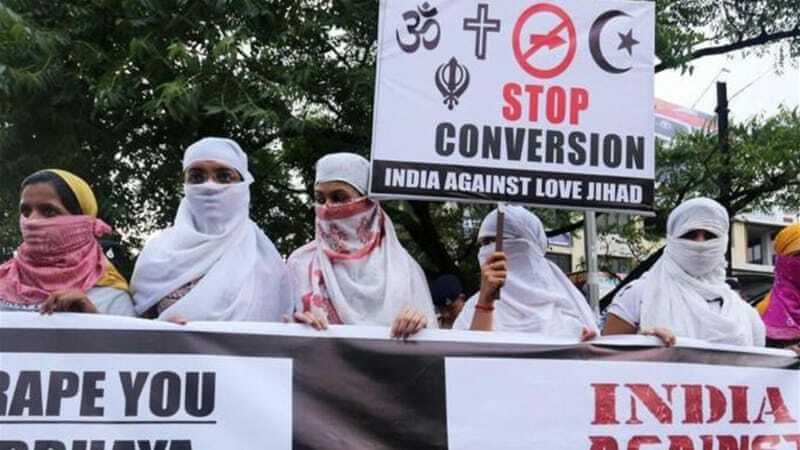 Hindu right-wing groups have also claimed that Muslim boys are financially rewarded for the conversions. She confirmed earlier reports that Abedi had recently returned from Libya. France's interior minister has said both British and French intelligence services had information that the university dropout had also travelled to Syria and had "proven" links with Islamic State. Ms Rudd disclosed that the intelligence services had been aware of Manchester-born Abedi, who died after detonating an improvised explosive device packed with metal, including nails and bolts. When she announced the raising of the threat level on Tuesday, Prime Minister Theresa May said a "wider group of individuals" could have been involved - including a bomb maker who provided Abedi with his device. 44 mins ago - BREAKING NEWS: Police believe Manchester Arena bomb maker is still at large after 'finding NO trace of explosives or equipment at attacker's house .. The bomb maker who provided Salman Abedi with the explosive device used to cause carnage at Manchester Arena may [is] still at large, police have revealed. MI5 are looking again at those who have returned from Syria, Iraq and Libya for clues to someone who has not been 'compromised' and crossed the security radar who could have trained in bomb making there. Jihadi fighters there have regularly made devices that have been packed with shrapnel, nails, nuts and bombs to cause maximum loss of life and mayhem of the type used in Manchester. These can be sophisticated devices and while the recipes are well known, they require a degree of engineering skills. In Syria and Iraq explosives are plentiful much of it captured while in Libya it is even easier to obtain, often smuggled in from Niger and Chad. Which is more important â€“ not hurting Muslimsâ€™ feelings, or our children being blown up? A police source told the M.E.N. : "They don't waste bomb makers. The reason we have gone to critical is because he is still out there and the fear is that he will strike again before they get caught." No look away!!! There is no NWO Global(ist) jihad conspiracy !!! MANCHESTER, England â€” The investigation into a suicide blast that killed at least 22 people at a Manchester pop concert widened Thursday, with security services carrying out raids and rounding up suspects amid fears that the bombmaker who devised the bolt-spewing source of the carnage remains at large. Meanwhile, a German security official told The Washington Post that the bomber, 22-year-old Salman Abedi, had been in DÃ¼sseldorf just four days before the bombing. The development signaled an expansion of an investigation that already has stretched to North Africa and continental Europe. Authorities were investigating whether Abedi had possible contacts with extremists in Germany, including during a 2015 visit to Frankfurt, the official said, speaking on the condition of anonymity. Abedi was en route back to Britain from Istanbul when he stopped off in DÃ¼sseldorf. The German newspaper Der Tagesspiegel first reported the bomberâ€™s presence in Germany. The paper, which cited unidentified security sources, said Abedi, flew from DÃ¼sseldorf to Manchester last Thursday. Hopkins said police were moving quickly to disrupt the group, carrying out raids across the city and arresting four people, including Abediâ€™s older brother, Ismail. A fifth suspect was later apprehended carrying â€œa suspicious packageâ€� in the town of Wigan, about 20 miles west of Manchester. The United States Embassy issued a warning to U.S. citizens in a southern Philippine city on Wednesday after terrorists linked to the Islamic State swept through the region, beheading a police chief, burning buildings, seizing a Catholic priest and his worshippers and raising the black flag of ISIS, officials said. The embassy suspended mission personnel travel to Mindanao as they analyzed the chaos that has left at least 21 people dead. "While the U.S. Embassy has no information that the events in Marawi City represent a direct threat to U.S. citizens or U.S. interests in the Philippines, we encourage U.S. citizens to review personal security plans, avoid large crowds and gatherings, and remain vigilant at all times," the embassy said in a statement. President Rodrigo Duterte declared martial law for 60 days across the southern third of the nation â€” home to 22 million people â€” and vowed to take tough action. 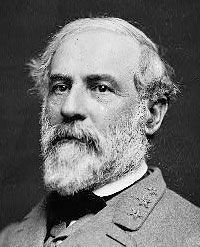 He threatened to extend it to the whole country "in order to protect the people." Militants allied to Isis have rampaged through a southern Philippine town, beheading a local police chief and kidnapping a priest and 10 parishioners, as more firefights broke out and buildings were set ablaze on Thursday. Violence that erupted on Tuesday in Marawi, 830 kilometres south of Manila, has left at least 21 dead, 13 of them militants, and dozens wounded. The militants have threatened to kill Father Chito Suganog and other hostages who were saying prayers when fighters stormed into St Mary's Cathedral in the town and took them as human shields. Philippine President Rodrigo Duterte, who threatened to impose nation-wide martial law to combat the rising threat of terrorism, said the beheaded police chief was on his way home when militants stopped him at a checkpoint. "I think they decapitated him right there and then," he told a news conference in Manila after cutting short a trip to Moscow as the violence raged in Marawi, a provincial capital with a population of 200,000.
security source told the Telegraph: "The worry is there was enough to build two or three bombs and we can't rule that out." Abedi arrived back in Manchester from Libya on Thursday, travelling via Istanbul and Dusseldorf. The following day he visited the Arndale shopping centre in Manchester, where he was caught on CCTV buying a Karrimor rucksack. The building was raided by special forces at lunchtime on Wednesday and specialist forensics teams and bomb squad operatives were still at the building on Thursday. Sources believe Abedi may have used the Â£75 a night apartment to put all the components of the device together, before heading off late on Monday evening to make his way to the Manchester Arena where he killed 22 people. At least 28 Coptic Christians have been killed and dozens more wounded by armed men who attacked them while they were travelling to a monastery in Egypt's Minya province. 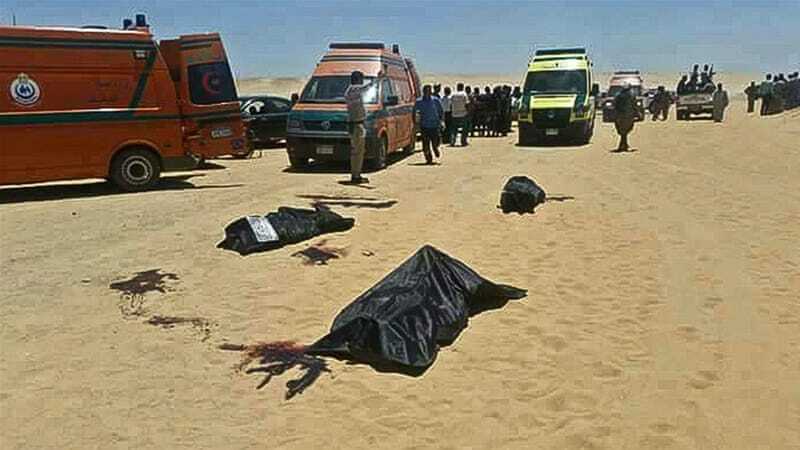 The Christians were headed on Friday to the Saint Samuel Monastery, located outside Minya city, about 220km south of the capital Cairo, when the masked attackers, who came in three pickup trucks, opened fire of them before fleeing the scene. ... Egyptâ€™s Coptic Christians have become the preferred target of the Islamic State in the region. Egypt's Copts, the Middle East's largest Christian community, have repeatedly cried out for help from discrimination, as well as outright attacks, at the hands of the country's majority Muslim population. Coptic Christians account for about 10 percent of Egypt's 93 million people. Millions of Muslims worldwide are preparing for Ramadan, a holy month of fasting and religious devotion. ISIS claimed responsibility for the attack by Salman Abedi at the Manchester Arena on Monday. Abedi blew himself up and security services have since been probing a potential terror network, with at least eight people in custody after raids across Manchester and the Midlands. Sources suspect a car mechanic and infamous ISIS explosives expert may have trained Abedi to build a bomb. At least 16 jihadists hail from a three-mile radius around the district where Abedi grew up â€” in Chorlton, Fallowfield, Didsbury and Moss Side. British security services are said to fear another attack from Abedi's terror network as much as a copycat attack triggered by Monday's arena onslaught. Three policemen were killed, while six other officers and five civilians were injured in an assault that left body parts and shattered glass strewn across the road in a suicide bombing near the Jakarta Bus Station which was claimed by ISIS. Jakarta, Indonesia: Indonesia's elite anti-terror squad was Thursday investigating a suicide bombing near a Jakarta bus station that killed three policemen in an assault authorities believe is linked to the ISIS. President Joko Widodo appealed for calm after two suicide attackers unleashed carnage outside the busy terminal late Wednesday, sending huge clouds of black smoke into the sky and panicked people fleeing. Police said they believed there was a link between the attackers and the ISIS, without giving further details. Hundreds of Indonesians have flocked abroad to fight with the jihadists and ISIS-supporting militants have been behind a series of recent plots and attacks in the archipelago. The bus station bombing was the deadliest attack in Indonesia since January 2016, when a suicide blast and gun assault claimed by ISIS in downtown Jakarta left four attackers and four civilians dead. Police believe they were specifically targeted in the bombing as they prepared to provide security for a parade near the Kampung Melayu terminal, which is an area frequented by locals but not foreigners. Security forces have been the main target in recent years of Indonesian militants, who have largely turned their attention away from Westerners. A sustained crackdown weakened the most dangerous networks but the emergence of ISIS has proved a potent new rallying cry for radicals. JAKARTA (Jakarta Post/Asia News Network) - Analysts say more attacks in Indonesia could be in the works in the wake of deadly twin bombings in East Jakarta which police have linked to the Islamic State in Iraq and Syria (ISIS) group. The bombings at the busy Kampung Melayu bus terminal on Wednesday (May 24) evening killed three police officers and injured 11. The two suicide bombers also died instantly. It happened only four days after President Joko "Jokowi" Widodo touted Indonesia's deradicalisation efforts during the Riyadh Summit, which was attended by world Islamic leaders and United States President Donald Trump. PARIS (AFP) â€“ France on Saturday (April expelled controversial Swiss Islamist preacher Hani Ramadan who posed â€œa serious threat to public orderâ€�, the interior ministry said. Ramadan, whose brother is the intellectual Tariq Ramadan and whose grandfather founded Egyptâ€™s radical Muslim Brotherhood, was arrested in Colmar, eastern France, while attending a conference. He was â€œknown in the past to have adopted behaviour and made remarks which pose a serious threat on French soil,â€� the ministry said in a statement. PARIS (AFP) - France on Saturday (April expelled controversial Swiss Islamist preacher Hani Ramadan who posed "a serious threat to public order", the interior ministry said. This is a scalable context timeline. It contains events related to the event December 1982: Muslim Brotherhood Project to Infiltrate and Defeat the West. You can narrow or broaden the context of this timeline by adjusting the zoom level. The lower the scale, the more relevant the items on average will be, while the higher the scale, the less relevant the items, on average, will be. At least 27 people have been killed and more than 100 wounded after two car bombs ripped through Baghdad, including one that targeted an ice cream parlour. Sixteen people died in the first blast as ISIS militants detonated a car bomb outside an ice cream shop as it was packed with women and children breaking their Ramadan fast shortly after midnight on Tuesday. A few hours later a second bomb the exploded by a government-run pension officer near the city's Al-Shuhada Bridge, killing a further 11 people. More than 100 people are thought to have been wounded in the two attacks in total. Imagine having to live around people so vile that they'd bomb you and your children for simply enjoying some ice cream. And imagine how mentally damaged a leftist must be to think we need to import more of them. Tommy Robinson actually mentioned something similar a few days later on Alex's show. I didn't realise that British Indians have had to put up with this rubbish for decades before Rotherham came to light. I'm starting to discover a whole new respect for Sikhs. Yes, it it`s mucked up. Sheria law is beyond a doubt inhuman. The problem is it is generational, inbred for centuries. I worked with some Muslims, when they were stateside, they drank, whored, essentially broke ever law of which they couldn`t in their own land.That said when they returned or had communications with their country they played by the rules,laws.. The other side of coin, a family I worked for decades past were Iranians, I was simply a bookend and driver. These people were educated, considerate, fair minded. In short they treated me like family, I ate at their table and was respected. Imagine being raised in a nation and with an open mind to see through the controll imposed by a ruling class under Sheria law. There have allways been finatics, loons, who have used their terrorist tactics motivated by their upbringing/ training- and sociopathic mindset, but they were marginal in the %. Generally they had backing $$, mentors etc. Now due to past regimes muckups their numbers, backing, have imploded.I suggest those who were the planners of the M.E invasion knew the collaterall effect, the implosion. IF president Trump continues on his path of exposing, targetting the Jihadists he will also bring to light those who provided the funding, weaponry, etc. The tail doesn`t wag the dog, I remain with hope the backers of the ISIS, Al Q or whatever name they call themselves are EXPOSED. I can`t shake the feeling they didn`t create an armada on their own. BACKING WITH INTENT. 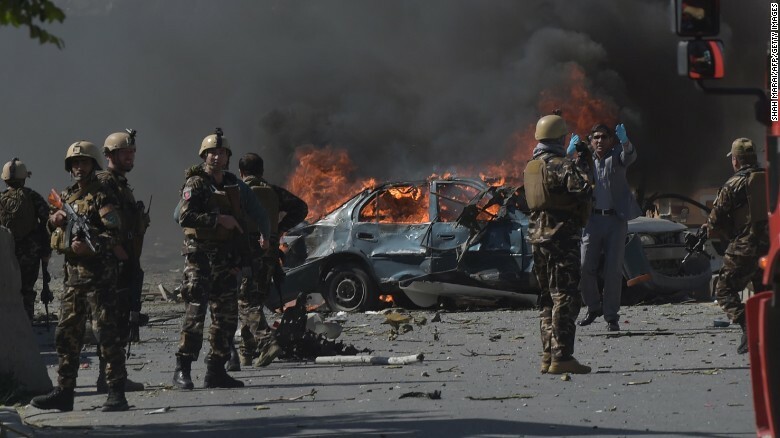 Kabul, Afghanistan (CNN)A huge suicide bomb ripped through a secure area of Kabul at the height of the Wednesday morning rush hour, killing at least 80 people and wounding more than 300, Afghan officials said. 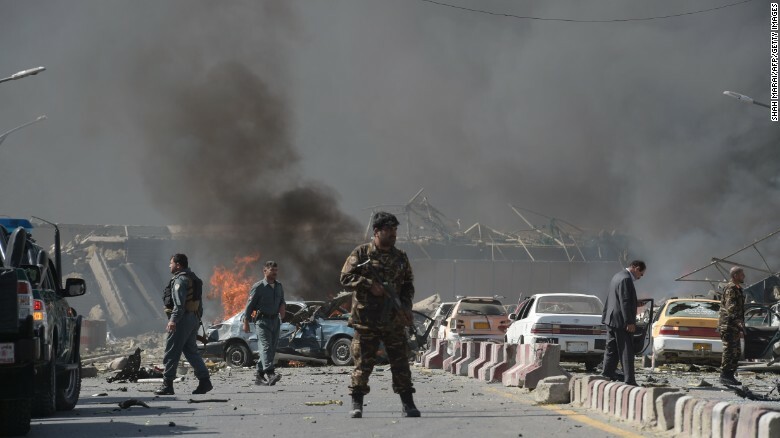 Taliban has denied responsibility for the blast. "The attack was aimed at civilians and those who are in Afghanistan to work with the people there for a better future of the country," Gabriel said. "...officials of the German embassy were also injured. In the meantime, all employees are safe." The Afghan presidential palace and the Indian Embassy are also near the blast site. "By God's grace, Indian Embassy staff are safe in the massive Kabul blast," India's foreign minister Sushma Swaraj tweeted. The French embassy was damaged in the explosion, Marielle de Sarnez, French minister for European Affairs, told Europe 1 radio. Initial reports do not indicate that French nationals are among the dead, she said, adding that she is "extremely cautious" until that has been confirmed. Other witnesses reported 'armed masked men' in the building's casino. Footage, posted on social media, shows guests fleeing as gunshots ring out across the resort. ISIS have claimed responsibility for the attack. Kara Verano filmed people running and described a 'teargas burning' substance in the air as she and her friends hid in a 'restaurant storeroom'. Resorts World Manila is opposite Terminal 3 of the Ninoy Aquino International Airport, and is one of the busiest airport terminals in the country. (CNN) Thirty-seven people have been killed in a Manila casino, following an attack in the early hours of Friday morning by a lone gunman who fired shots from an assault rifle and set fire to gambling tables. The victims, who did not appear to have been shot, are thought to have died of suffocation, Southern Police District Director Superintendent Tomas Apolinario said Friday. "Most of the victims were women who were found dead inside the bathroom," he added. Despite ongoing ISIS-affiliated militant activity in the southern Philippines island of Mindanao, authorities ruled out terrorism as the motive for the attack. However, late Friday, ISIS claimed responsibility in a statement from its Amaq media wing, which said "Islamic State fighters" carried out the attack. Earlier, authorities said 35 bodies were found in the casino area in Resorts World Manila after a lone gunman fired shots and set fire to gambling tables in the early hours of Friday morning. More than 70 people were injured. The gunman later killed himself. Manila police chief Oscar Albayalde told reporters that police think it's likely the suspect was a foreigner. "He looks Caucasian, he talks English, he's big and he's white, so he's probably a foreigner," he said. Salman Abedi is understood to have received thousands of pounds in state funding in the run up to Mondayâ€™s atrocity even while he was overseas receiving bomb-making training. The Government has previously admitted it has no idea how many terrorists could be using taxpayer funded benefits and student loans to finance their activities. Abedi, 22, never held down a job, according to neighbours and friends, but was able to travel regularly between the UK and Libya. Abedi also had sufficient funds to buy materials for his sophisticated bomb while living in a rented house in south Manchester. Six weeks before the bombing Abedi rented a second property in a block of flats in Blackley eight miles from his home, paying Â£700 in cash. He had enough money to rent a third property in the centre of Manchester from where he set off with a backpack containing the bomb. Abedi also withdrew Â£250 in cash three days before the attack and transferred Â£2,500 to his younger brother Hashim in Libya, who is accused of knowing about the attack in advance. David Videcette, a former Metropolitan police detective who worked on the 7/7 London bombing investigation, said of the student loansâ€™ system: â€œIt is an easy way for a terrorist to move forward and finance their activities at the expense of the taxpayer. Hail Satan! or This is For Satan! PM Theresa May condemns the "single evil ideology of Islamist extremism," saying "enough is enough"
Theresa May has vowed that â€œenough is enoughâ€� as she urged people to go about their lives as normal after seven people were killed and almost 50 injured in the London Bridge terror attack. The Prime Minister said that there is â€œfar too much tolerance of extremism in our countryâ€� as she set out plans to crack down on terror. Alex Shellum was in the nearby Mudlark pub with his girlfriend at the time of the incident. â€œAt around 22:00 BST an injured woman came into the pub seeking assistance,â€� he told the BBC. A chef from the nearby Fish restaurant said: â€œI saw two guys with big knives downstairs outside Roast. They were stabbing people. The police were running away, they were community police. They were normal officers, they were running away. Gerard Vowls, 47, was watching the Champions League final at the Ship pub in Borough. He was at the start of the south side of London Bridge where he told The Guardian he saw a woman being stabbed by three men. A man has claimed the three attackers shouted â€œThis is for Allah!â€� while stabbing people. Do You Think The Muslim Holy Month Of Ramadan Is Now The Most Deadly Time Of The Year? THE ROCK SAYS "HAIL SATAN" ON SNL! Don't think there is anything Holy about a secret society having a prep rally that kills people, Islam is not a religion! They should move the Islam tread back to secret society, right now they have it hid in the religion section. I would love to see it being were it's suppose to be, I know EG was the driving force to have it move and with him being over at the Gulag forum he shouldn't mine to much. I just think it's a disseverist to a forum full of truthers to play the game that Islam is a religion, it's not, it is a political movement like Communism, meant to enslave people to a Luciferian system. The friends and family of people who went missing after the London Bridge terror attack have been reaching out on social media for help. 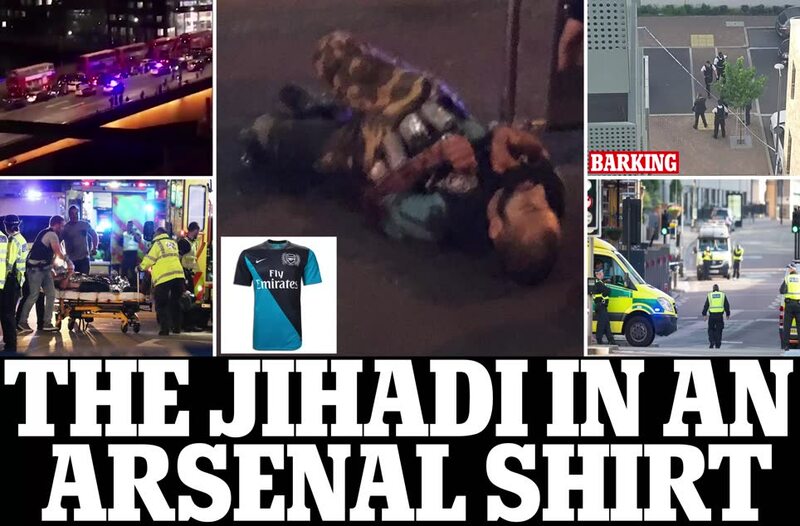 Seven people were killed and over 50 injured, 21 critically so, after terrorists drove a van into pedestrians and then rampaged around Borough Market stabbing people with 12-inch knives. Here is all we know on the missing. 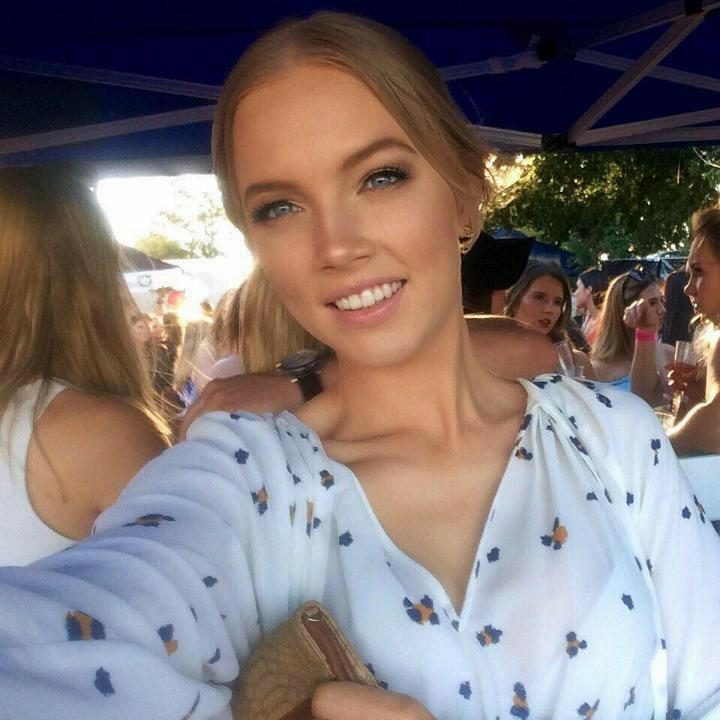 A 21-year-old Australian has not been heard from since she was last seen on London Bridge on Saturday night, prompting a desperate plea from her family. In a Facebook post titled â€œMissing from London Terror Attackâ€�, a family friend of Sara Zelenak, who has been working as a nanny, called out for people to share information about her possible whereabouts. â€œDear friends please can I ask you to share this post. My friendâ€™s daughter, Sara Zelenak, was last seen on London Bridge and was witness to the terror attacks,â€� says the message, which has since been removed. From a link left by a viewer- Islamberg report by news agency and shown on Vimeo- fair use: I saw the video by Joe Biggs stating how "ominous and creepy" the drive to this place was- including, "low hanging clouds". It was those clouds that sent me to immediate fear and I just HAD to see these "Terrorists" myself. This is what I found. And yes, I realize they "could have prepared to show the world how peaceful they are in advance". Like we do when Dignitaries and Presidents visit our country. I am NOT defending Islam. I am showing you how life is in Islamberg...according to these Muslims living there and local Law Enforcement. A planned motorcycle protest against Islamberg, an African-American Muslim community in the Catskills, backfired on its organizers on Sunday, May 15, when they were vastly outnumbered by hundreds of cheering Islamberg supporters who gathered to defend the community from charges that it is an â€œIslamic jihad training camp." See our story at watershedpost.com. 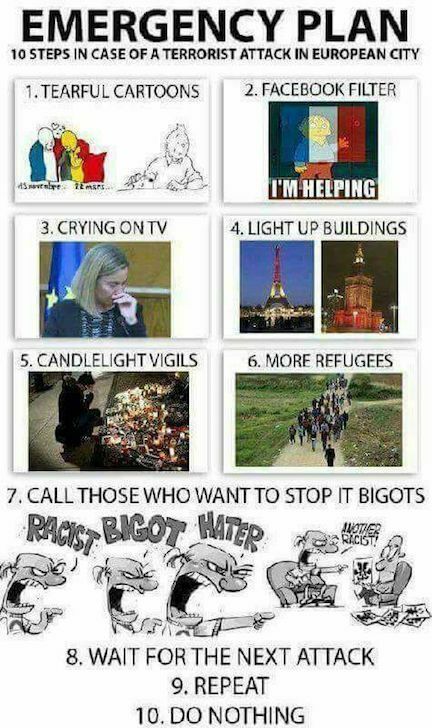 Former British comedian Pat Condell has established himself as a leading outspoken and incisive voice against the spread of Islam in Europe, having unleashed a torrent of blistering Tweets aimed at UK politicians and media after the latest London attack.